BBC NEWS | Americas | Head-to-Head: The right choice for the World Bank? Head-to-Head: The right choice for the World Bank? The nomination of US Deputy Defence Secretary Paul Wolfowitz to head the World Bank surprised many. Here, two top experts give contrasting views on whether he is suitable. 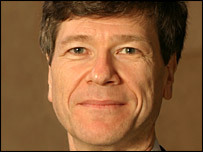 First, Jeffrey Sachs, a leading development economist and Director of the Earth Institute at Columbia University, explains his opposition. 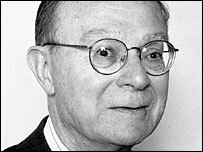 Below, Allan Meltzer, author of a major report on the World Bank and International Monetary Fund, lays out the reasons he is in favour. It's a very surprising and in many ways inappropriate nomination. The position of president of the World Bank is one of the most important in the world. Hundreds of millions of people depend for their lives and their livelihood on World Bank efforts to fight extreme poverty - we need an individual with a demonstrated track record and relevant professional expertise. Mr Wolfowitz does not fit those criteria at all. He is a man without international development experience, without professional qualifications. He has not demonstrated an interest in the Millennium Development Goals, the shared international commitments to the fight against extreme poverty. Development challenges are not amateur-hour issues, nor are they issues to be addressed by hunch. Mr Wolfowitz is not a banker, an economist, a public health specialist, a water management specialist, an agronomist, a climate change specialist - any of the professional specialisations that stand at the core of the poverty challenge. He is, of course, a defence specialist. If this were the "World Defence Council", his nomination might make sense. But this is the World Bank. You wouldn't choose Mr Wolfowitz to be surgeon-general, a position for a doctor. You wouldn't choose Mr Wolfowitz to be solicitor-general, a position for a lawyer. And for the same reason, you shouldn't choose Mr Wolfowitz to be head of the World Bank. There are many people around the world of great distinction and demonstrated capacity who can effectively lead the World Bank. I hope that there will be other candidates, people of international experience and professional qualifications to hold this position. We don't need a development person. There are plenty of people at the bank who do that. The critical dimension is management - the bank spends $15-20bn a year. I don't think anybody would claim that money is well spent. The bank needs to find out what it does well, what it does badly: What do we do around here that works? How many people have we lifted out of poverty? How many children are inoculated against measles every year? What have we done to bring water to the villages? Those are not development questions, those are administrative questions. People know Paul most recently because of his work in the defence department, but he was ambassador to Indonesia - he has considerable experience in a developing country. He is aware of the problems. The bank really needs a thorough restructuring, even people who defend the bank realise it needs that. Poverty has come down, but mainly because of growth in China and India, not because of the Bank's efforts. Each new president comes in and reorganises the bank. That alone tells us that there is something wrong.